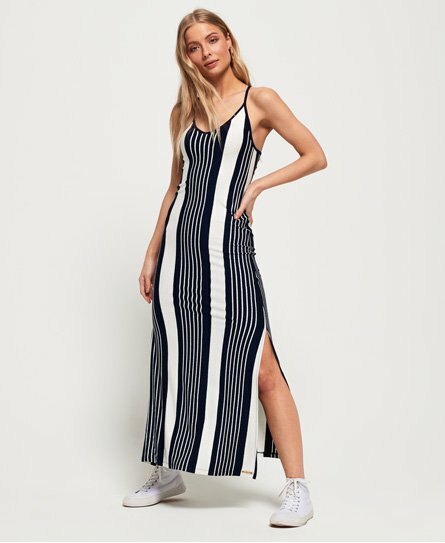 Superdry women's Azur stripe maxi dress. This maxi dress features cross over adjustable spaghetti straps, an all over striped print design and side splits to offer a flattering silhouette. Finished with a metal Superdry logo tab above the hem. This maxi dress can be worn for all occasions, dress down with a pair of sandals or dress up with a pair of heels.